Laws regarding prenuptial agreements vary by state. Many jurisdictions have adopted the Uniform Premarital Agreement Act, but states often tweak the terms of the UPAA when integrating them into their own statutes. Many of the highlights are consistent, however. For example, the timing of a prenuptial agreement is often critical. A New York court has ruled that signing a prenup four days before the wedding is insufficient time, particularly if there are other problems with the agreement. California requires that seven days must pass between the signing and taking vows. Courts tend to be on the alert for signs that a spouse executed the agreement under duress, such as when the wedding is paid for and the whole thing might be called off if she doesn't cooperate. Depending on where you live, if you signed your agreement at the eleventh hour and your spouse decides to contest it in divorce court, you may have a problem. Another important factor contributing to the validity of a prenup is whether spouses had separate legal representation. California's version of the UPAA requires that spouses hire independent counsel to review the agreement and to advise them regarding their rights. You can get around this rule in some states, however, if your spouse signed a waiver stating that she was advised to seek legal representation but decided against doing so. In a landmark 2013 case, a New York appeals court voided a prenuptial agreement because the wealthier spouse lied, promising he would tear it up if certain conditions were met after the wedding. He didn't tear it up, but instead presented it to a divorce court. The court ruled that his spouse was "fraudulently induced" into signing it. Most states require full disclosure by both spouses in an effort to avoid issues of fraud. This ensures that both spouses know the extent of their partner's wealth before they sign an agreement to waive their rights to a share. If you lied about your assets and only disclosed half of them, the court is likely to void your agreement if you divorce. If you overlooked a small asset, however, such an omission probably will not affect your divorce proceedings. The terms of your prenup must not be unconscionable, particularly if your state does not impose a waiting period between the time of the signing and your wedding, or if your spouse waived her right to separate legal counsel – that is, if a lawyer would have told her that what she was agreeing to was blatantly unfair. An unconscionable premarital contract is one that is so grossly one-sided, the judge would have to wonder about the circumstances under which your spouse signed it. 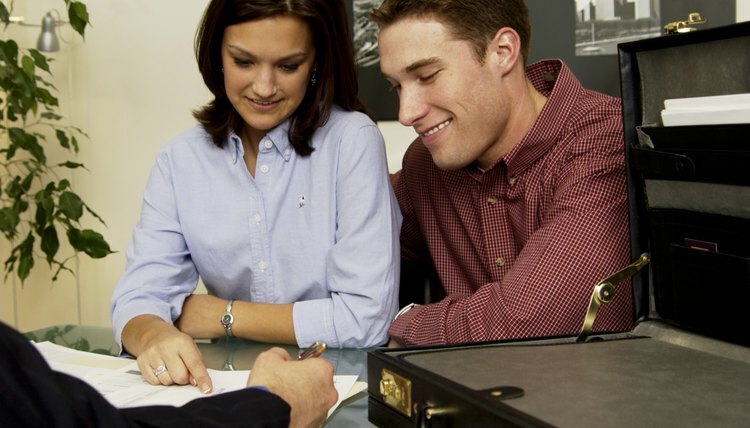 For example, if your agreement states that everything you earned or acquired before your wedding is yours, that all property acquired during your marriage is yours, and that your spouse has no right to either spousal support or an equitable division of property, the court will probably void your prenup because its terms are unconscionable. Unforeseen circumstances can invalidate your prenuptial agreement. For example, you and your spouse may have been equally well off at the time you signed it, but she suffered an incapacitating accident after your wedding. She might have waived her right to alimony in the prenup, but now she's no longer able to support herself. Some courts will overturn a prenup if she would be eligible for public assistance because she was not receiving financial support or property from you. The state doesn't want to support your spouse if you have ample resources to help her out. You may also have voided your prenup on your own by writing and signing a superseding agreement. The secondary document might state that you're throwing the first one out entirely, or it may only amend certain provisions. In either case, this is the document the court will use if you end up divorcing. Tennessee refers to divorce agreements as marital dissolution agreements and after you sign one, lawyers in the state will most likely tell you it’s a done deal. After it becomes part of your decree and a judge signs the decree, you’ll have a very difficult time changing it. However, a small window of opportunity exists when you can take steps to amend or revoke it.